Rae Weber is one of those globetrotters we’re all jealous of. 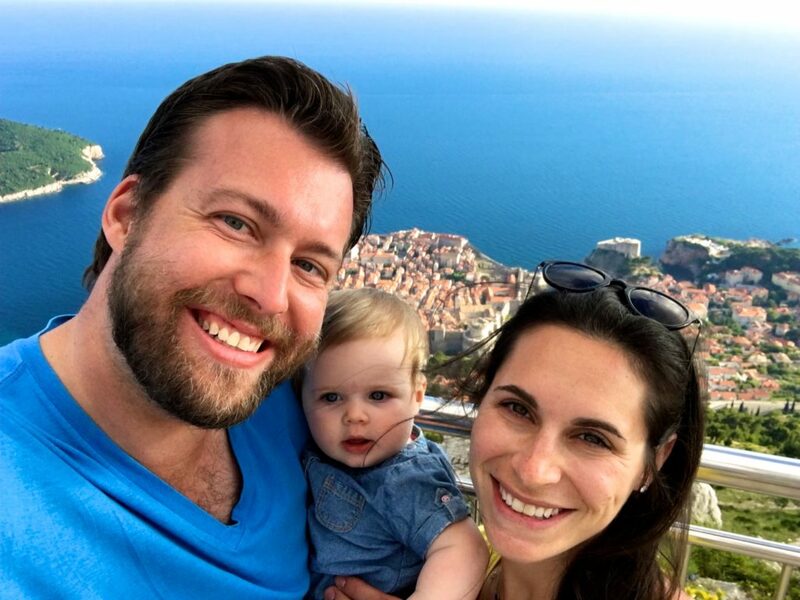 She jets around Europe on the weekends, has seen some of the world’s greatest wonders and has visited more than 30 countries and four continents — all before her first birthday. Yes, before turning numero uno on September 8, 2016, little Rae logged more miles than most adults ever have, thanks to her parents, Erica Levine Weber and Christopher Weber. The world-traveling couple have lived and worked in the United States, Singapore, South Africa and Switzerland, visiting over 70 countries along the way. So when the time came to expand their family, giving up their passion for traveling was not in the cards. Rae and her parents Erica and Chris on a visit to Croatia. 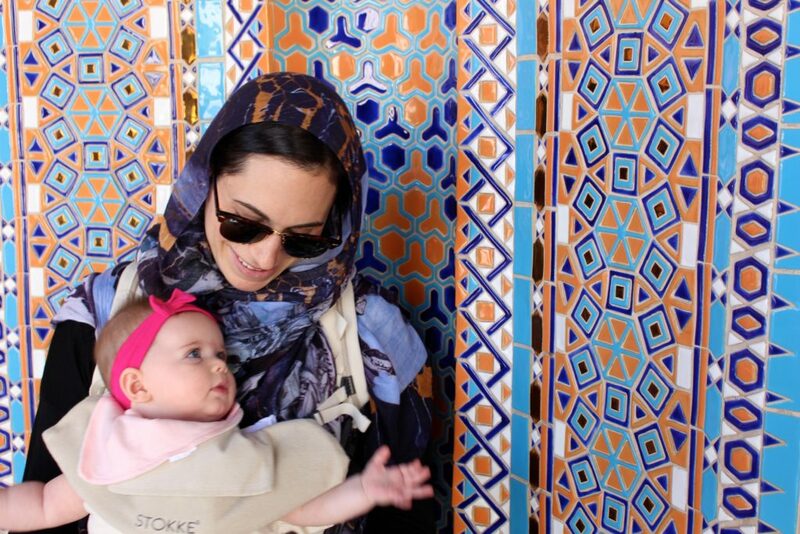 Rae with her mom, Erica visiting an Oman Mosque during one of their trips. Those challenges include diaper changes on ancient ruins in Petra, teething in the middle of the Adriatic Sea and nursing on the Copenhagen canals. “She’s slept in more bathrooms than a college freshman,” laughs Erica. 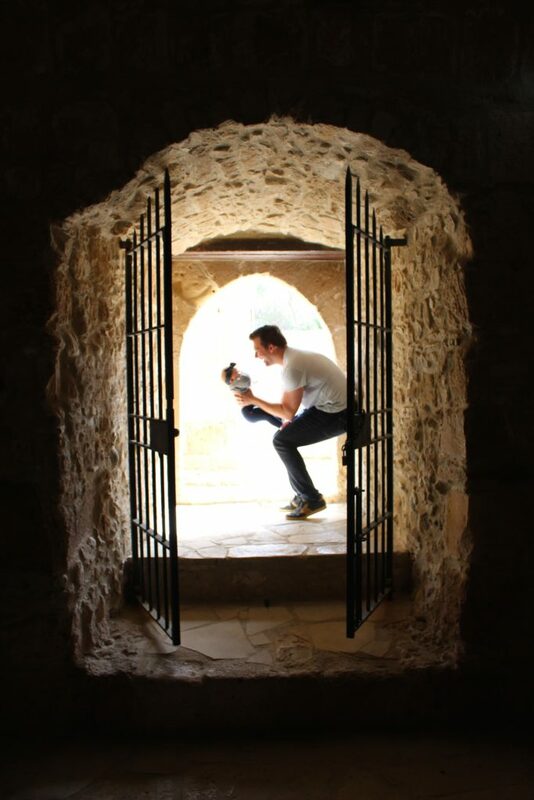 Chris cooing over baby Rae while visiting a castle in Cyprus. 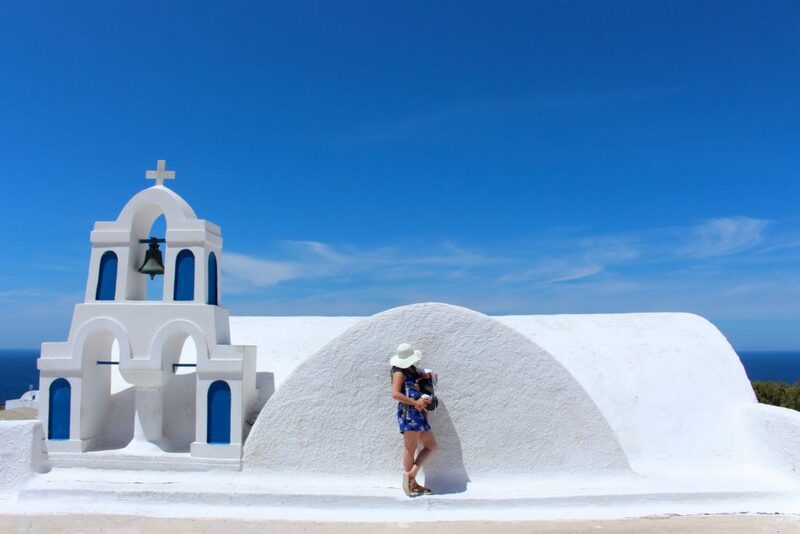 Erica and Chris have even started their own blog, The Worldwide Webers, which documents their travels and gives advice for how to hit the road with a kid in tow. “We want to show people is that you don’t have stop being you just because you have a baby,” concluded. “It’s only enriched our experience.” One thing’s for sure. Young Rae is bound to have to coolest baby book ever!